Sew what's cooking with Joan! : Beef Wellington for New Years Eve! Nothing says 'special occasion' quite like a traditional Beef Wellington. Its preparation, however time consuming, is not difficult and many steps may be prepared ahead of time. This impressive and delicious meal can be mastered and presented with grace by any caliber chef. 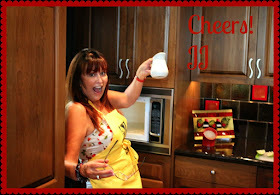 I served with JJ's "Blue cheese and rosemary scalloped potatoes" April 27, 2012 blog. 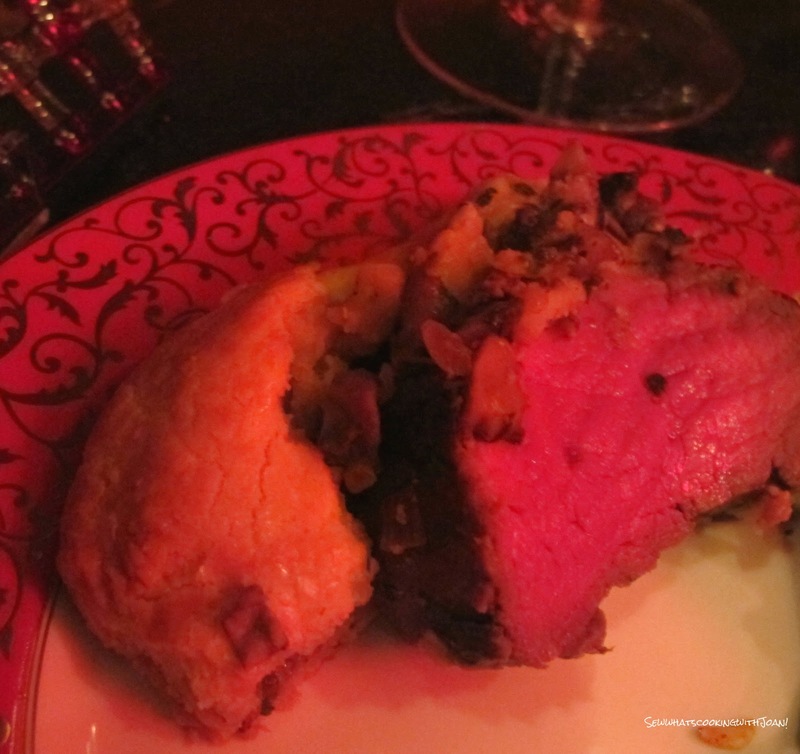 It’s not completely clear exactly where the Beef Wellington originated from, some says it’s a borrowed and recreated dish from the French “filet de bœuf en croûte“. It does not really matter as it’s spectacular and is bound to be the talking point of any dinner party and is especially nice for your New Years Eve presentation. 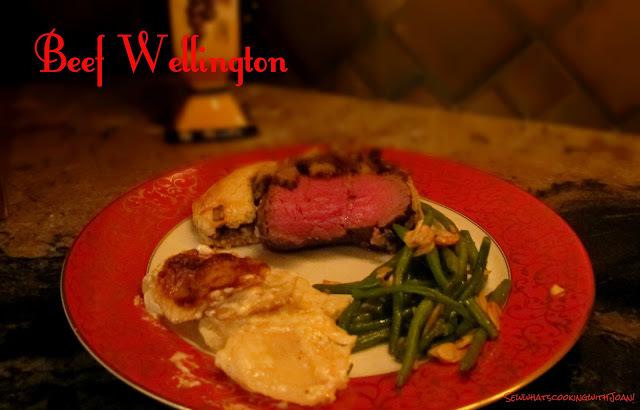 You might have seen the word ‘Wellington’ used as a descriptive word for variations of this dish using other proteins such as salmon, lamb or chicken, I have made every presentation, even one I used to make in our motorhome when the children were young and we were traveling. It was more of a "coulibiac of chicken breast" layered with chinese bean threads and parsley, along with mushroom duxelles. Sort of a one dish meal, perfect! I will make it in the coming months. Place filet shallow roasting pan with a rack. Mix butter, brandy, salt and pepper and rub over the top and sides of filet. Roast for 25 minutes, basting the meat once with pan juices. Remove meat from pan and cool for 30 minutes. Remove string and all fat and dry with paper towels. ~can be done a day ahead. Butter and cream cheese should be at room temperature. Cream butter and cheese well. This can be done by hand or in a food processor. With pastry blender, two knives or by pulsing food processor, cut butter mixture into the flour. Form pastry into a ball, flatten and wrap in plastic or waxed paper, and chill for at 1 hour. ~can be made 1-2 days in advance. Saute shallots in 3 T. of butter for a few moments. Add mushrooms and lemon juice and cook, stirring and tossing until mushrooms look dry and pieces begin to separate. This will take 6-7 minutes. Turn heat to high and add sherry. Boil until liquid has evaporated. Season with salt and pepper and stir in chopped parsley. Cool. ~Can be made 1-2 days ahead. Remove meat from marinade, wipe dry, and bring to room temperature. Reserve for marinade. 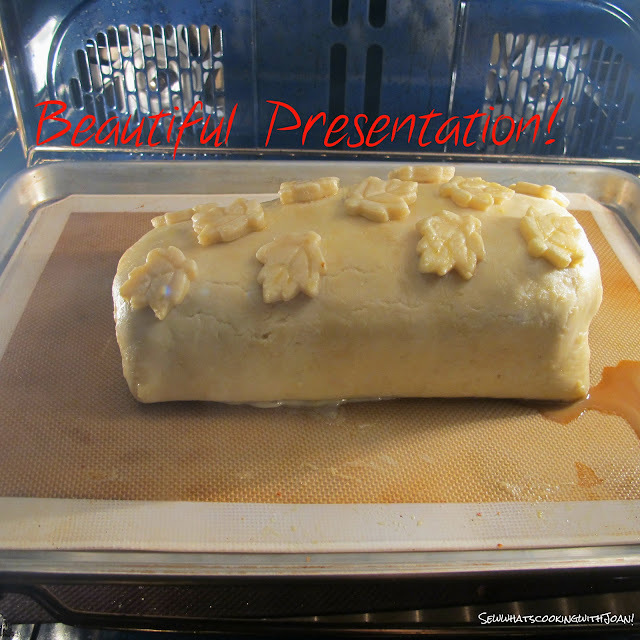 Roll out pastry into rectangle, large enough to encase the filet. Put half the mushrooms in the middle of the rectangle, place meat on top. Put remaining mushrooms on top of meat and bring up long sides of pastry and pinch together. Cut off any excess pastry from short ends and pinch together. Place seam side down on parchment lined or silpat lined baking sheet. Cover with plastic and shill for the butter to harden; about 20 minutes. 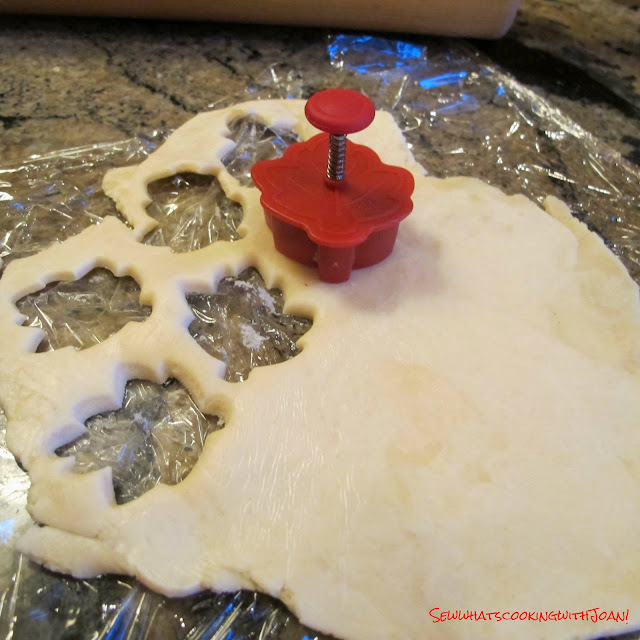 Roll out pastry scraps and cut into decorations of your choice. Chill. Let meat come to room temperature. Beat one egg with 1 tsp water. Brush pastry with the egg glaze, decorate with pastry cut-outs and brush decorations with egg glaze. Cut 1 or 2 small holes for steam to escape and fit a small pastry tube or foil into the hole. Bake the Wellington for 20 minutes, lower heat to 400F, and bake for another 20 minutes, or until thermometer reads 140 F. Let the meat rest for 20 minutes before placing on warm platter. Heat the reserved marinade and serve as sauce. Carve with serrated or electric knife into 3/4- 1 inch slices. 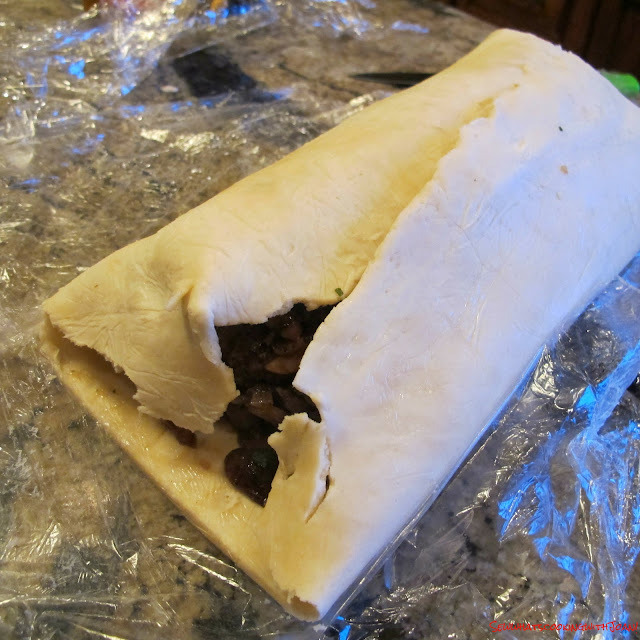 If meat is not done and pastry is brown, cover with foil. Make sure each serving has a little pastry, duxelles and meat. 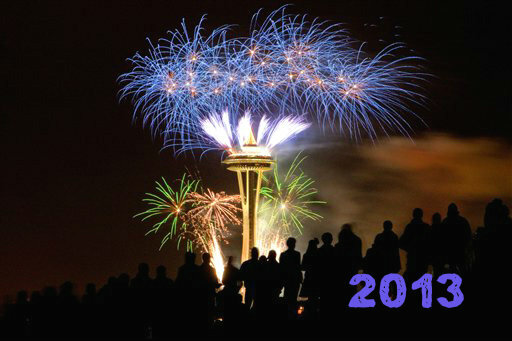 People have such high expectations of New Year's Eve that it is hardly ever possible to meet them. For that reason, you may opt to stay in with close friends, lots of champagne and good wines. To me, that's a sure winner and I can always count on Veuve Cliquot and a good Bordeaux to see me through. I learned long ago that a good time can never be planned...it just happens. Hope you are having a wonderful time celebrating with family during this festive time of year. Amazing! I'm sure whoever you shared that with loved it! I liked the leaf decorations as a final touch. Thanks Scott!! Yes, it got high praise by our guests! !